Exciting news! Bear Conflict Solutions has partnered with Bow Valley filmmaker Leanne Allison to create an exciting new film that highlights how the Bow Valley is Living with Wildlife. The film documents the numerous wildlife mitigation projects that have occurred over the years in the Bow Valley including the creation of wildlife corridors, highway fencing and crossing structures, aversive conditioning, renowned educational programs and attractant management programs that include community bear proof garbage containers, and wildlife attractant bylaws and attractant removal. Check out how the Bow Valley continues to find ways to “live with wildlife” through collaboration and innovation. Here is the Living with Wildlife trailer and look for the main film to be shared publicly in March 2017. 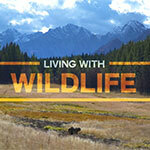 Living With Wildlife Trailer from Living With Wildlife on Vimeo.